Available West Coastal, USA ONLY. Click contact (lower right) for a quick reply! Tina Phoenix dances with Gypsy. A LIVE 7 ft stunning PASTEL Columbian Red Tail Boa constrictor. In this mezmerizing tribal fusion performance this bond between human and animal is unlike anything you have ever seen before. 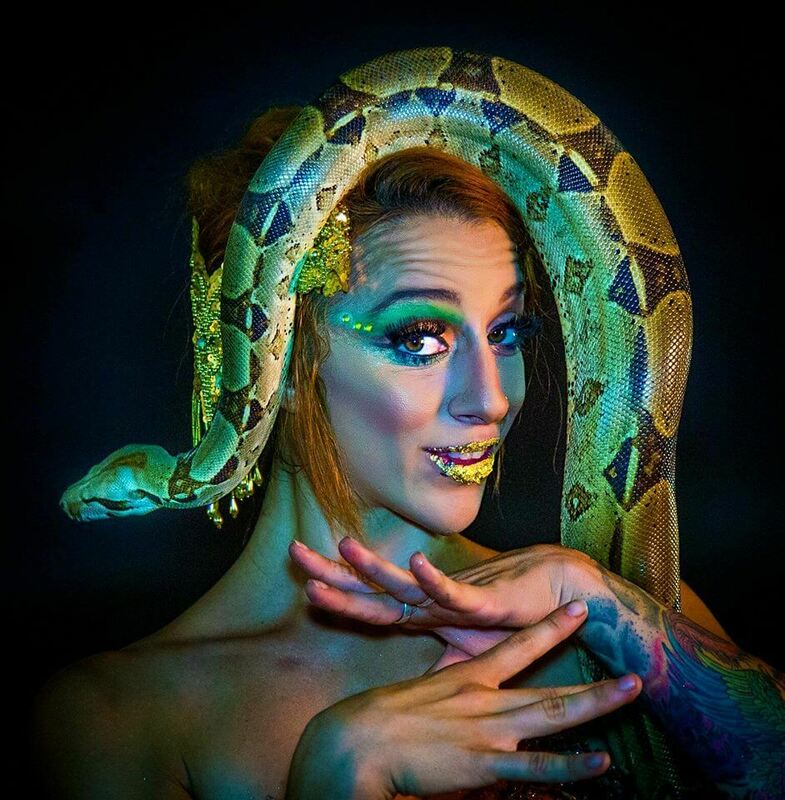 Gypsy wraps her scales around different areas of Tina’s body while she moves in complete synchronicity with the snake while folding her own body into beautiful contorted balances. Gypsy Snake is available for roving performance, interactions, photo ops, ambience style performances and set choreographed routines. Snake Charming characters created based on any theme.